We just moved into a brand new house in mid June that has laminate floor throughout the main living area. What we've noticed is that the flooring by the front and rear patio doors has unusually excessive scuffing on the laminate floor's bevelled edges on several adjacent planks. When we did the final walk through, we noticed this but thought it could be from drywall dust however that isn't the case. Also, there are at last count, 20+ chips / chunks of various sizes throughout and the number keeps going up as we go about our merry way. When we brought this to the selling agent and builder's attention, both said the product has been used in all of their builds and have never received any complaints which we think is BS. To make matters worse, the agent said "floors don't chip on their own" implying that it's our fault?! The laminate floor that we installed in our previous house which was sold over a year ago, withstood 4 solid years of abuse from our oldest child and showed little to no wear and definitely no chunks taken out. I even called Hourigans and End of the Roll and asked them if this could be a defective product and both agreed that laminate should not fall apart like this especially after just one month. Imagine what it would look like in a year! So my question is, have you heard of any new home warranty claims for defective laminate floor? I plan on calling the main office in Vancouver to run this by them before submitting a claim so please let me know that we aren't the only ones with flooring issues. Do you know what brand/type of laminate it is? Is the builder building the other homes around you? (In this case it would be easy to verify if they've used the product in all their builds). From my experience flooring is a difficult one to go after once you moved in as it become difficult to differentiate between the floors itself and the floor use. I've seen builders deliver floors in crappy shape, but I've also seen people/large dogs cause damage to new floors. Not sure what the warranty adjustor would say in this situation, but doesn't hurt to give them a call/have them take a look. There are discontinued lines of flooring on the market that is cheap. And don't forget that 60 minutes expose of the flooring made in China that had dangerously high levels of formaldehyde in them but was labelled as being formaldehyde free. We asked for the make/model and supplier of the laminate flooring but neither the contractor nor real estate agent have devolved this info. Why is this such a secret unless they're hiding the fact that it's discontinued like someone had mentioned or probably made in China, although both keep saying it's a German product as if that makes it better. The builder isn't building any homes around us because the real estate agent, who I assume is his partner only bought our lot. I spoke to a gentleman at Heritage Hardwood Floors and he agreed that there is definitely something wrong with this laminate because he has the same type of flooring in his house at the entrance and back door and it has withstood a lot of abuse from his 70lb dog running around, kids with cleats and it's held up. The floors should hold up just fine with our family of two adults, two boys under 6yrs and no pets but it isn't. We walk around in bare feet or flip flops so it's definitely not our foot wear! He asked if our house was on a crawl space to which I answered yes. He said if there was too much moisture in the subfloor prior to installation, the floor could be ruined. During one of our walk throughs while the house was under construction, we noticed nothing was put down to protect the flooring after it was installed. We could see lots of building material and drywall dust everywhere which really shocked us. I called the New Home Warranty office in Vancouver today and spoke with the claims department. They gave me directions on how to file a claim which involves a simple email that covers all the deficiencies and any additional concerns we might have. Through the claims person I was able to find out who the mystery builder was because again, neither the agent nor the contractor, who apparently doesn't have a last name, ever mentioned the builder's name. She provided the builder's email addresses and phone number too and instructed me to cc: him as well. My wife and I will go over every deficiency that was corrected and will emphasize the flooring as our primary concern. Seems like a lot of red flags but at the time of the build everything looked okay. 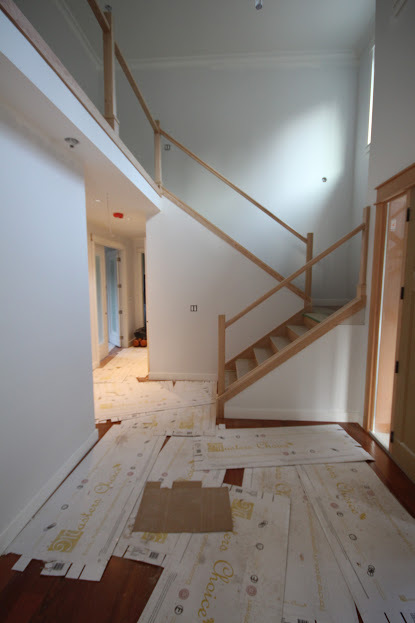 One more "tiny" detail that I found out from the claims person was that the house was registered to the New Home Warranty office as "custom" but all we were allowed to select were interior paint colours and two out of the four pre-selected floor choices. How is this even considered custom?! Anyway, thank you everyone for your feedback. We hope this ends well because we're not at all happy right now. During one of our walk throughs while the house was under construction, we noticed nothing was put down to protect the flooring after it was installed. We could see lots of building material and drywall dust everywhere which really shocked us. Sounds like a scheduling error during construction if the flooring was installed before you had the drywall people clomping around making lots of dust. You can't really run a residential construction site like you can a hospital .........my flooring (over $20,000) has been poorly covered during construction and there is crap all over the place but no damage to floors has occurred. 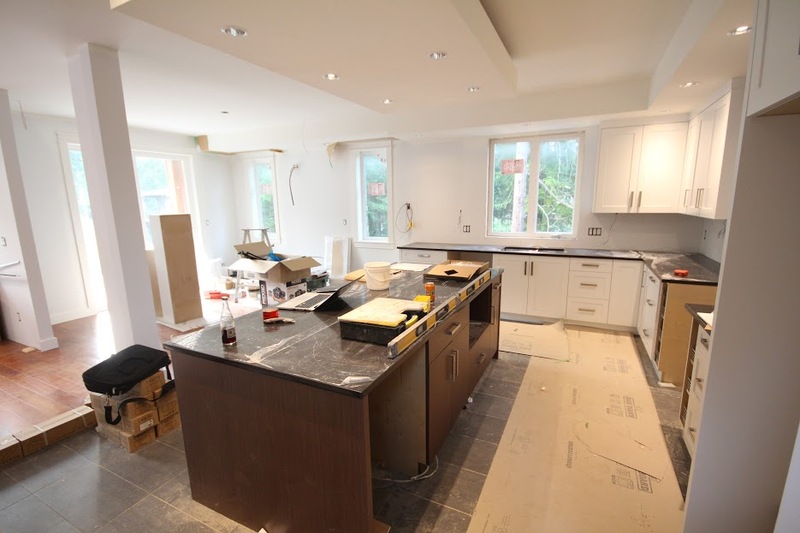 People really don't understand the residential construction process; it is not perfect nor can to be organized that well....tradespeople not showing up, not cleaning up after themselves, etc., and with a shortage in trades you have to roll with it all. If you freak out over someone not cleaning up, for example, they probably won't show up to finish the job and then you are really screwed. Edited by MarkoJ, 24 July 2015 - 09:38 PM. Not a red flag at all in my opinion, just a random checked off box. I could say my home is "owner-built," "semi-custom," "custom," etc. Who cares....I can also say I have "ocean views," which I most certainly do....however depending on who you ask the adjectives used to describe the view will vary. What the builder checked off with the HPO or his or her warranty company is nothing to do with a contract you enter into with him or her. I had to do a bunch of HPO paperwork for my place and I can't recall what I filled out whatsoever. Turns out the flooring was bought from Costco which seems odd don't you think? The negative reviews are spot on with our experience of chipping, hard to clean surface and just poor quality. To top it off, we're seeing several areas where the floor panels are uneven and peaking. You really have to be careful with laminate flooring. I fellow I know had some nice floors in a house he was selling. The only problem was that the real estate agent wore high heeled shoes during the open house weekend. A friend of mine has laminate flooring and it has stood up exceptionally well. I'm not sure what make it is, but years of a Jack Russell running around on it hasn't put one scratch in it. I can ask if anyone is interested. Same experience here. The flooring bought in Costco has not held up well. Your builder cut some serious corners on your home if that's the flooring they used. You get what you pay for and that includes the installation. 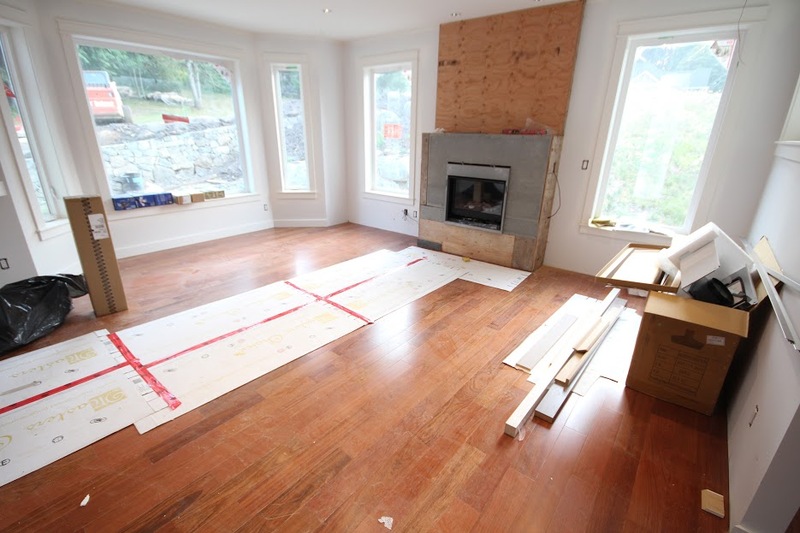 It's not bad flooring per se, especially if it's needed in a low traffic area, but when you're having a home built with materials from Costco something isn't right. Tell that to Marko! His bathrooms look great! Damn Mike you just dissed my house ; half of it is sourced from Costco.....and it is a seven figure home. For example, my Maxx tubs are from Costco......Maxx is a very reputable plumbing brand. In my opinion sourcing building materials/fixtures from Costco is not a red flag in itself as Costco carries some awesome products. The price paid for the this laminate (over $3 per sq/ft) is also not a red flag. The stuff I put into my suite is less than $2 per sq/ft and it is half decent. I spent $6 per sq/ft on the floors in the main part of the home but it is a custom build. $3 on a spec build is a healthy average from what I've seen. Really you need to isolate the issue to the product itself which may be the problem. I am personally not seeing any red flags, other than the flooring, based on what you have described. You're comparing a dual zone vs a single zone. But I agree, Costco has very good quality for most of their products, and they stand behind them too. Not sure how that works with something like flooring though.